Special thanks to Kelly Clarkson for being an inspiration and also for sponsoring today’s post. I’m grateful to the Mom It Forward Influencer Network for connecting me with sponsors who further my goal to help busy moms raise happy families. My biggest fear as a parent is that I’m going to mess up my kids. It’s a lot of responsibility, creating decent human beings, and I spend a lot of time worrying about it. Of course, like a lot of moms, I’m also really busy. So I’m always trying to squeeze meaningful moments into our everyday activities. Since we spend so much time in the car, one of my favorite techniques is to use the music we listen to in the car. Not only do we bond by singing along to songs together, I get many opportunities to talk to my kids about the messages being sent in the songs we listen to together. I want my kids to think about the words they are saying when they repeat lyrics from popular songs. Some of the catchiest songs send messages that do not align with our family values. Thankfully, there are many popular songs by talented artists whose messages DO reinforce the principles and ideals I want my children to hold. Kelly Clarkson is a wonderful example of this type of artist. I’ve been a fan of Kelly Clarkson ever since she was a contestant on American Idol. I loved her voice and her girl-next-door personality. There’s no denying Kelly Clarkson’s talent. She has a beautiful, powerful voice that she has amazing control over. What makes her music interesting is her versatility. Her music ranges from pop to country to rock. That versatility is one of the things I highlight to my kids. Kelly Clarkson refuses to be pigeon-holed, instead exploring all aspects of her talent, personality and interests. That’s exactly what I want my kids to do. Rather than changing who they are to fit in with others, I want them to do what interests them so they can attract friends who value confidence, diversity, and character. I also love that Kelly Clarkson refuses to succumb to pressure to look a certain way. She’s publicly discussed her weight and claims she is much happier now that she isn’t dieting. I love that she’s decided what’s best for her and she isn’t bending to pressure to meet standards that aren’t her own. I want my kids, and especially my daughters (since society seems to have more expectations for girls’ appearance), to see that you can be successful and happy without conforming to ideals set by others. 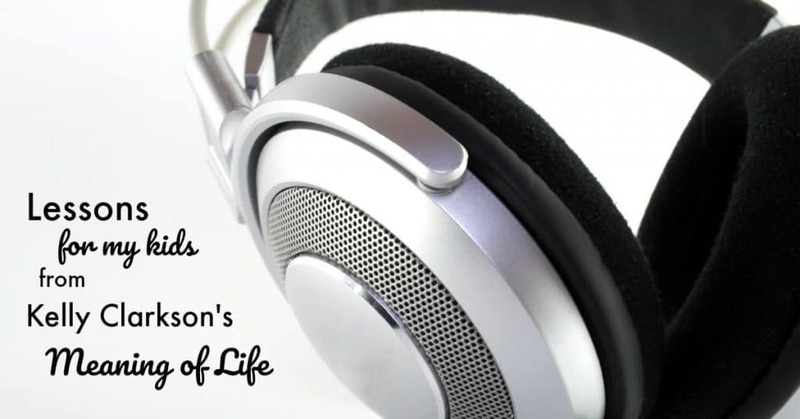 In Kelly Clarkson’s most recent album, “Meaning of Life,” she shares several positive messages in her music that reinforce the points above and highlight other qualities I admire. Just listen to “Whole Lotta Woman” to see what Kelly has to say about her full figure. Meaning of Life has advice on character too. In “Go High,” Kelly reminds us that even when it’s hard, it’s always better to take the high road. 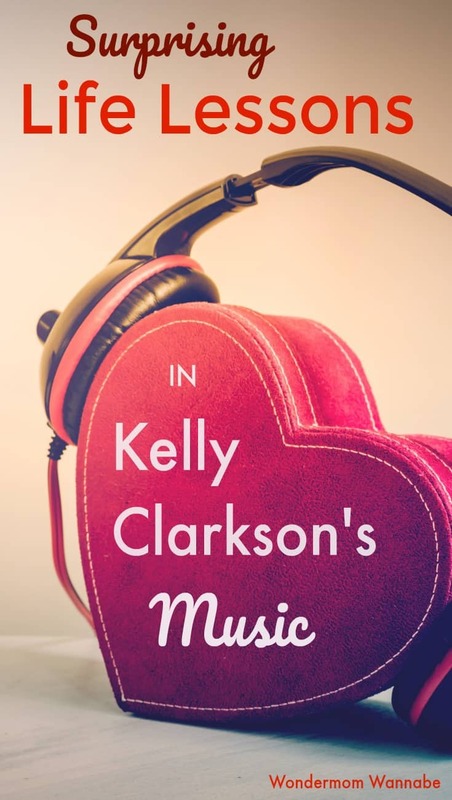 And even though Kelly Clarkson can rock country, as you heard in “Whole Lotta Woman”, on Meaning of Life, she reminds us that she can shine in a ballad just as well. In “Slow Dance” she sets a great example for how young romance SHOULD start. My kids can relate to a lot of the examples in the song. I think it’s such a clever and beautiful way to explain what love “feels like” to my kids. Just as important, I want my kids to know that it’s okay to move on from relationships that have become unhealthy. Breaking up isn’t the end of the world. “Medicine” from Kelly Clarkson is the perfect song to listen to after a breakup. Have you listened to Meaning of Life yet? I’d love to hear your thoughts! Specifically, I’d love to know which lyrics resonate with you the most. Please let me know in the comments. I’ll always be a fan of Kelly Clarkson! Her music is beautiful. I definitely understand where you’re coming from though; I’m so scared about the whole parenting process and don’t know if I’m doing a good enough job! Being a mother and raising a human being is a lot of responsibility! And music is a great way to bond with and teach our children about life. Love this! I’m a big Kelly Clarkson fan and I’m super excited to hear her new album! I love when music has a meaning, like her music! Got so excited when I saw this post! I didn’t realize she had a new album. I love country music so I’ll definitely check it out! Kelly Clarkson is one of my favorite artists. I can listen to her message of empowerment with my daughter (i.e. Miss Independent). My teenage son can get a glimpse into the female psyche, too (i.e. Since U Been Gone). This album would make a great holiday gift! I’m definitely checking it out! “Rather than changing who they are to fit in with others, I want them to do what interests them so they can attract friends who value confidence, diversity, and character.” A million times this!!! I wish all kids would grow up understanding this. There is so much meaning in music! Not just the lyrics but the overall composition. Kelly has always had a certain flair for this. Talented in so many ways. I haven’t listen to the entire thing yet but plan on doing so! My little one loves music (like his parents) and I can see us all sitting down as a family to this in it entirely! Thank you for sharing! Kelly is my all time favorite idol! I also love that she is her! Can’t wait to get this CD! !